Gun crew of the 18th Machine Gun Battalion, 6th Division, posted in a shell crater near Petit Froissy, France. 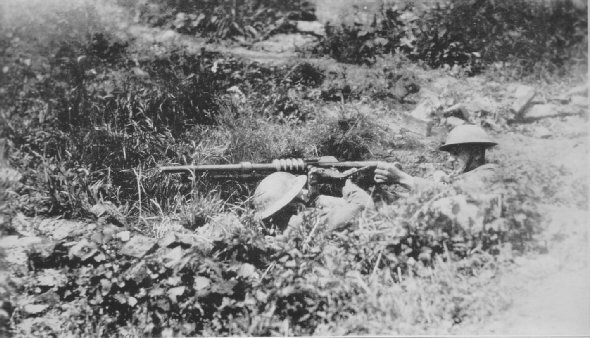 These men are the constant target of enemy sharpshooters and snipers hidden among the trees at the top of the slope. 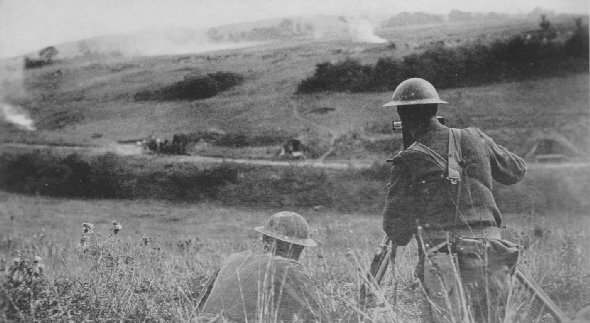 Lt. McDonald photographing war scenes as the 6th F.A., 1st Div., were being shelled from their positions near Exermont, Oct. 5. The government used every facility to preserve for posterity the scenes of the great conflict.